Since ancient times, for the decoration of the house, people are using homemade articles which are made with charms, various textile materials; recycle material, and much more, that emerges as a new creative design. 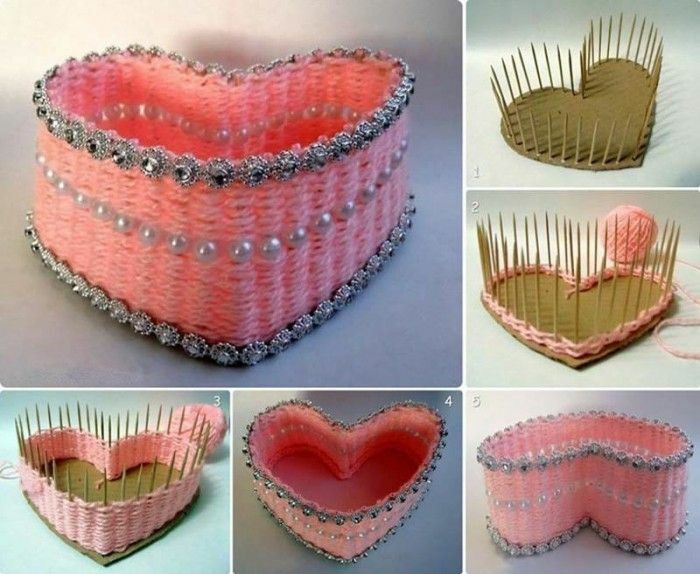 Today, the handmade craft ideas have been the best for decorating houses, rooms, offices, and much more. 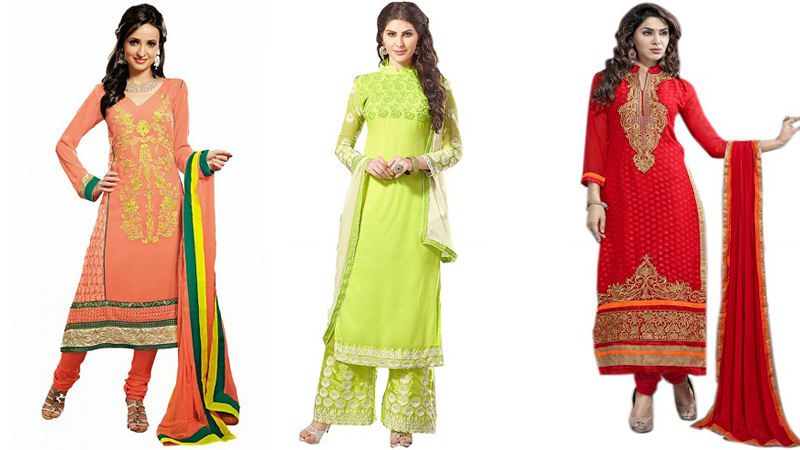 They are mostly purchased for celebrating festivals in a new way, giving an enhancement to the ancient designs. Want a colorful piece on your table for decorative purpose! 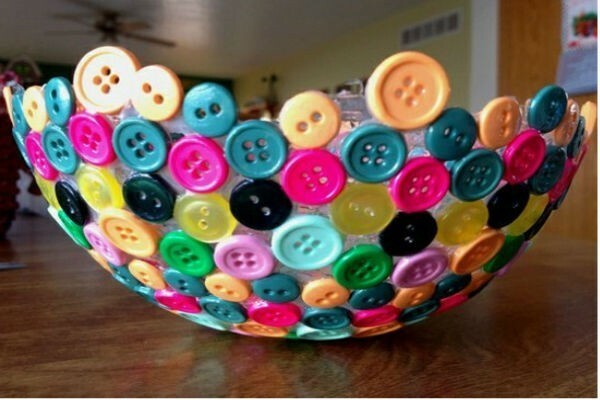 A bowl decorated with buttons would be the best handmade craft ideas for home. The bowl is made with various colorful buttons. The buttons are placed on the bowl forming lovely design with a colorful way. The bowl can be placed on the table for serving small accessories in it. You can also use shells, or other such materials to make the bowl different. 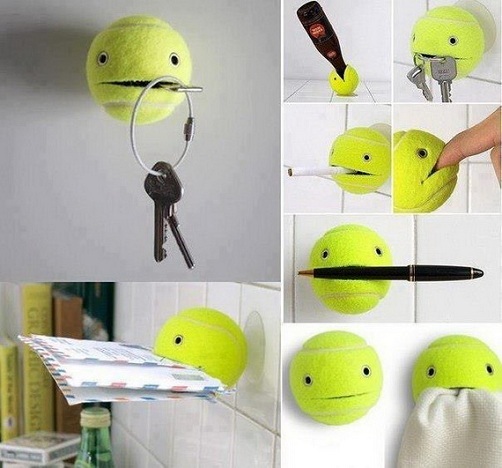 Have got lots of tennis balls lying in your home! Why not use it as a holder for various stuffs! Yes, it is the best handmade craft that is made by simply making a center cut in the ball and attaching a wall hook to the ball. It is used for handling accessories like pen, keys, envelopes, and much more. You can also decorate the ball with other materials like pearls, sparkling, making faces, and much more for making it designing and interesting. 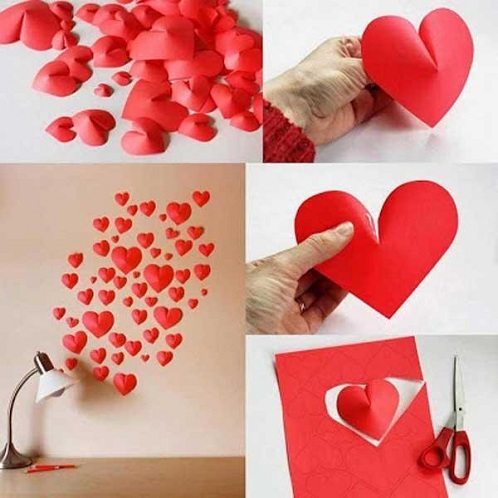 Yes, the handmade crafts for home also include the latest home decoration ingredient, the wall stickers. 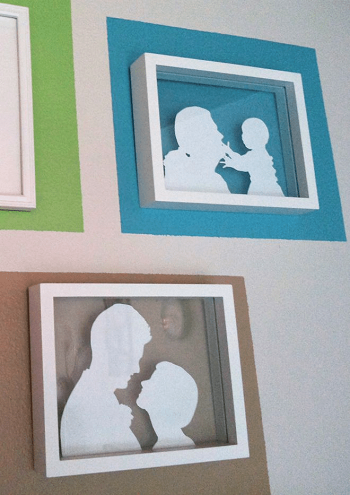 All you need to do is get the desired color card boards and cut off the designs you want to decorate your walls with. They give a beautiful look to the walls, and also makes it possible to bring your dream shapes on the walls for expressing your feelings. You can also go for your own theme and make them with the help of carboard papers, shells, mirror cuts, and much more for a new look. 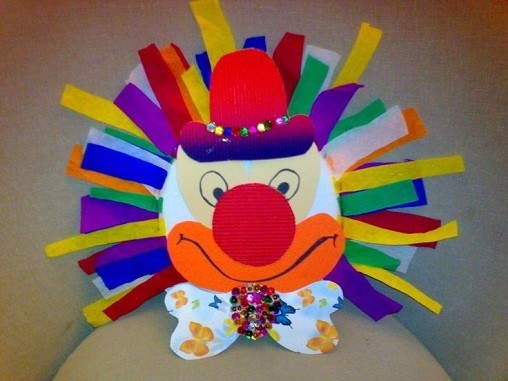 Paper clowns have been the best part of homemade items for crafts. Made from different kind of colorful papers, the clown face is also given various colorful charms like buttons, round beads, butterfly prints, and much more that enhances the look of the craft to a great extent. Along with clown, the paper craft is also used for making other materials like the flowers, petals, and much more. You can also arrange cotton and color it for the clown. Similarly, people also make Santa Clause faces in similar way. 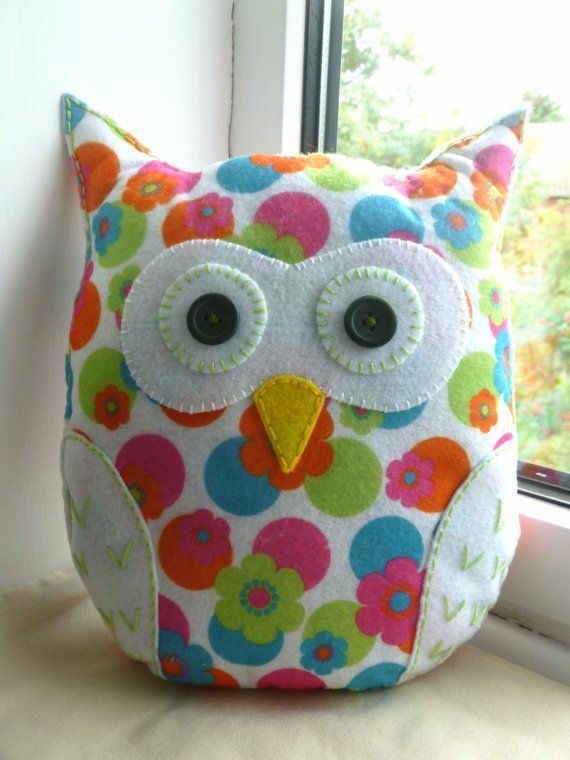 Want to give something creative as handcrafted gifts! Here is a frame work that is done with the help of card boards and bottle opens. The frame is given borders of bottle opens with cute charms on it in floral designs smileys, and much more to make it more attractive. The frame is given a centralized gap for keeping an image in it. 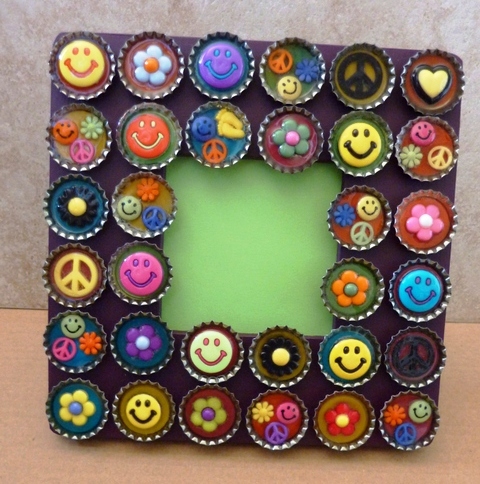 The photo frame can be made with several other materials too like shells, buttons, paper flowers, leaves and much more for giving it a wonderful look. Looking for some classy candle light stands! Here is amazing handcrafted gift ideas that would surely glitter your feelings when lighten. The simple mugs are crafted out with particular shape and are also given print works to make it decorative. With double coating of mugs, the candle light gives stunning shines outside at night. 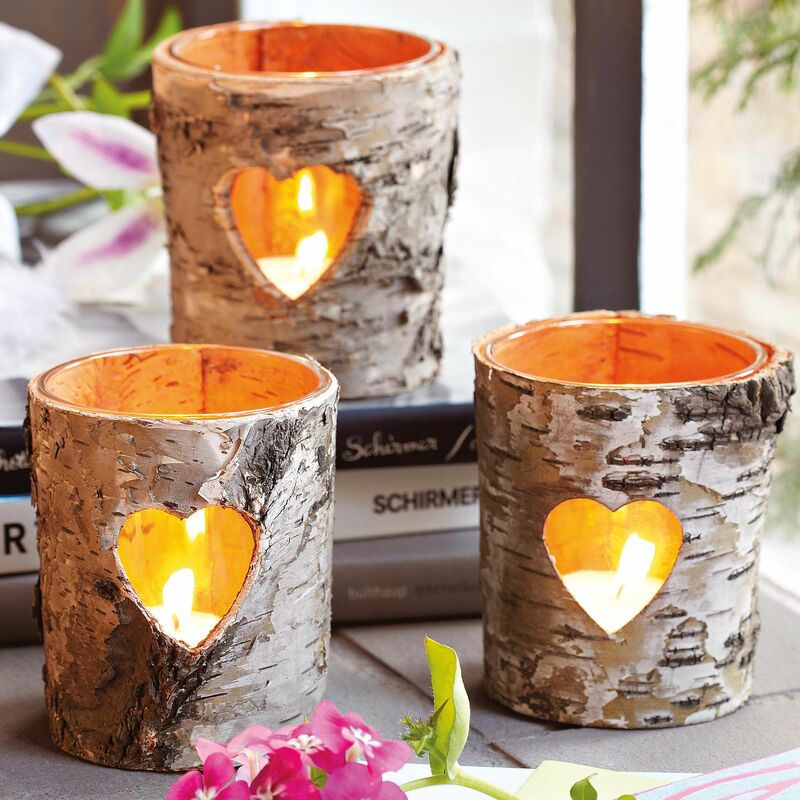 The candle decorations can include various designs of painted jars, lanterns, lamps, chandeliers, and much more for that blooming decoration. You can add shining beads, finger puppets, cotton and plastic balls, etc. for decorating it efficiently. 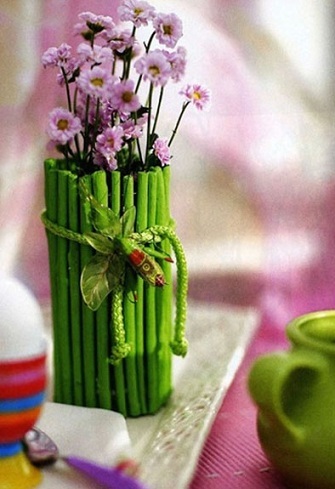 This might sound different, but you can also make flower vasehandicrafts items made at home. The vase is made using various pencils of similar height, and is covered with either paint color or color paper. The pencils are then stuck up and tied with each other forming the shape of a vase pot. For adding more decoration to the vase, you can attach other charms like pearls, ribbons, and much more. Button jewelry designs have won the hearts of various women who love to experiment their looks and accessories. The buttons are used in this craft to make necklines and rings. You can make these accessories using simple homely buttons or by getting decorative buttons specially made for jewelry designing. 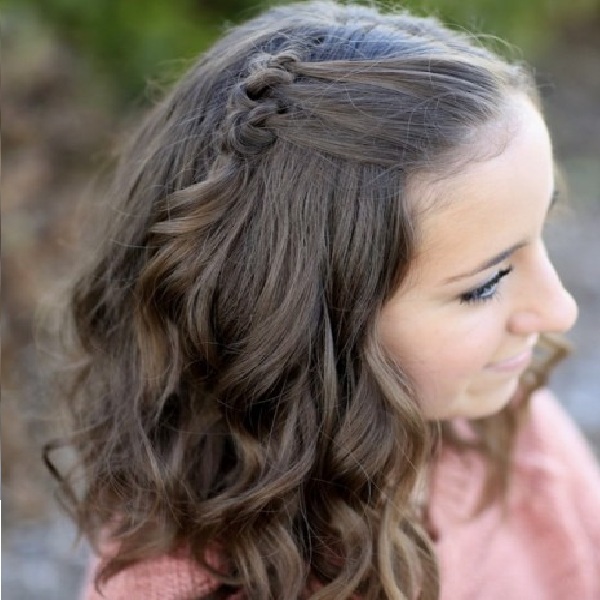 The necklace can be made using various designer buttons for giving it a unified appearance. Along with necklace, you can also look for earrings, bracelets, and much more made from similar ingredients like shells, feathers, beads, etc. Thinking to give something creative for Christmas gifts! 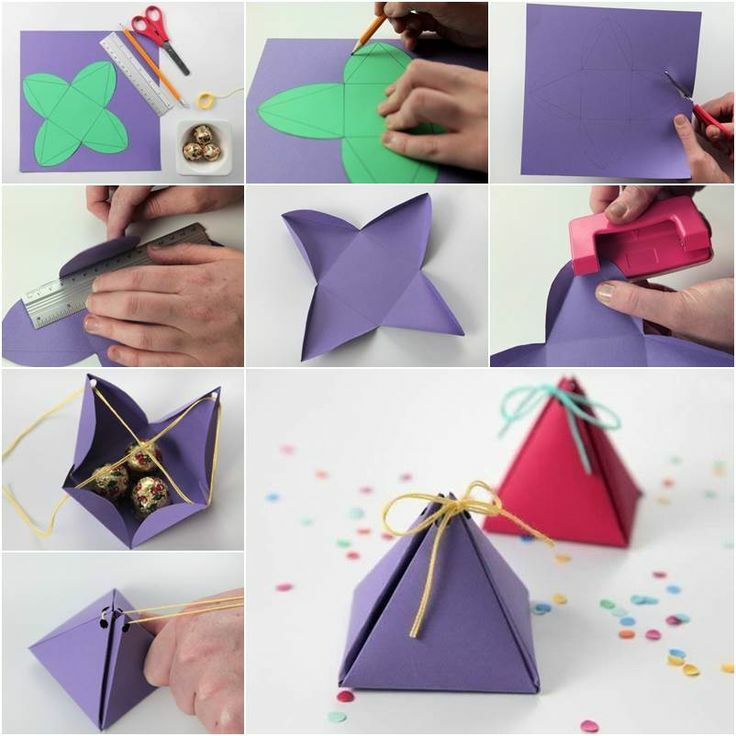 Let’s make handcrafted Christmas gifts pockets from board paper sheets that are quite interesting to store chocolates and other small things in it. The gifts are stored in the center and packed in a pyramid style structure that is packed or say tied from the top side. They are tied in such a way that it doesn’t open completely, but remains similar to a triangular basket. You can adopt the shape of the boxes, circular baskets, etc. according to the gift you are thinking to place in it. Having various unnecessary keys at home! Let’s use it for getting the best wind chime for your house. Yes, it is also listed in one of the handcrafted gifts to make at home with keys. All you simply need is a round disk and some strings to tie them in different swinging designs. Generally made in a circular descending style, they are capable to give you sweet melodious sound when kept beside the windows. 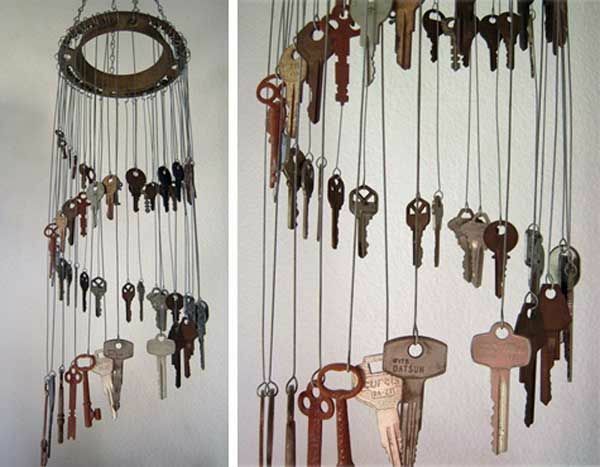 As the keys that are used are old, the wind chime also looks antique or vintage. An ancient and blessed Wiccan design is also easy to make at home. All you need is black bamboo which comes with a broom on the below side. 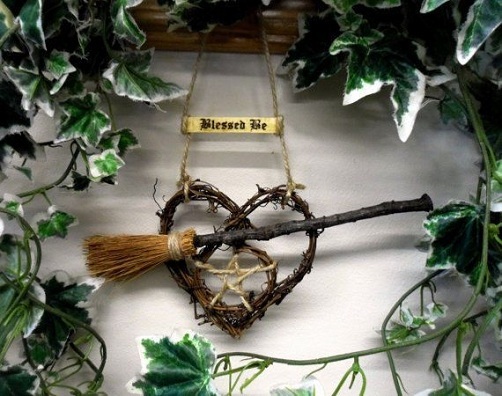 The Wiccan is made oak besom that makes the design of a heart in the center. Along with it, there is also a star in the heart, with a broom on it. The Wiccan also carries a golden plate on the Wiccan mentioning words like blessed be. The Wiccan is placed beside the door to keep negative effects from the house. Handmade craft ideas are given a delicate design that comes with pearls, wool and other decorative accessories. The basket can be given your desired shape, by placing a cut off hard cardboard on the lower part, and fixing sticks on the border. Next is to weave the wool around it till the end, and locking it with pearls. The basket is further given decorations using silver decorative bands. Thinking to give something creative to your toddler! 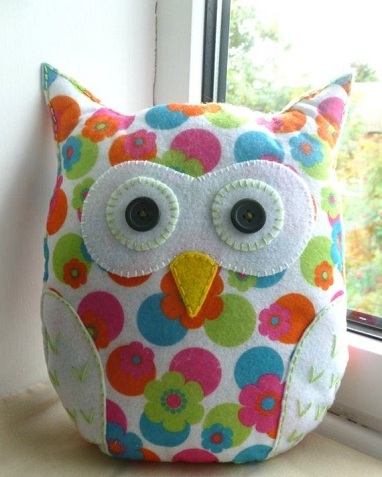 Here is a handmade craft pillow that is given the shape of an owl. The pillow is made from smooth woolen texture, mixed with cotton and given floral prints on it. Along with it, there are buttons used to make the eyes of the owl along with yellow material for the beak. The height of the pillow can be made as desired. You can also opt for other designs like balls, heart, any animal, etc. 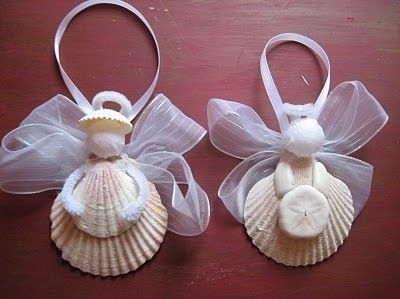 Seashell art has been great for handmade handicrafts. The shells are combined here to make fairy dolls along with ribbon and some white cement. The shells are joined with each other in a proper way to make the dolls. It is then given a bow tied on the back side of the shells to form their wings and one on the top to hand it on the walls. The hands and face of the dolls are made from white cement giving the dolls a beautiful molding. You can also make the dolls in pairs, or make them as couple ones too. This is one of the exciting handicrafts items made at home. The wall art is made by placing white shadow effect on the frames. The portraits are gathered from images that are enlarged and then cut off. 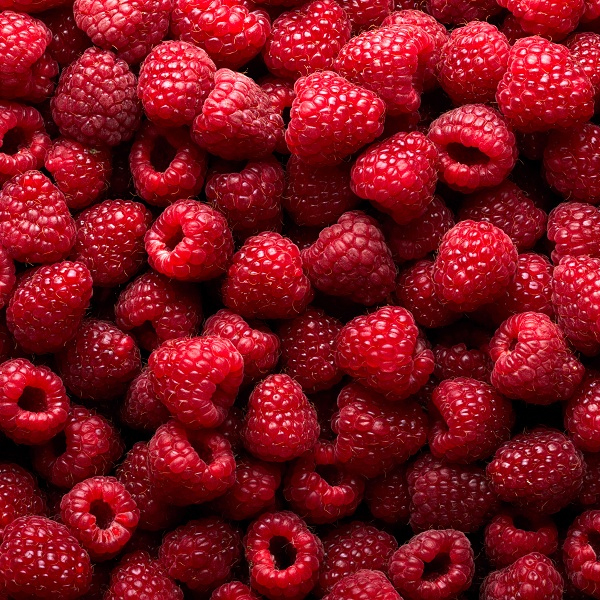 Placing them in frames with desired background color would surely give you the best output. The frames can be the best memories between two. It is widely accepted art for gifting on Mother’s Day, Father’s Day, or any other special occasion. The handmade crafts for home are widely made for decorating the house, or for using the items that can be recycled for something creative. This is an art that is used by not only the toddlers to enjoy crafts period, but also by the adults for different means. With the passage of time, the handmade craft items have become much popular in every field related to decoration and fashion. 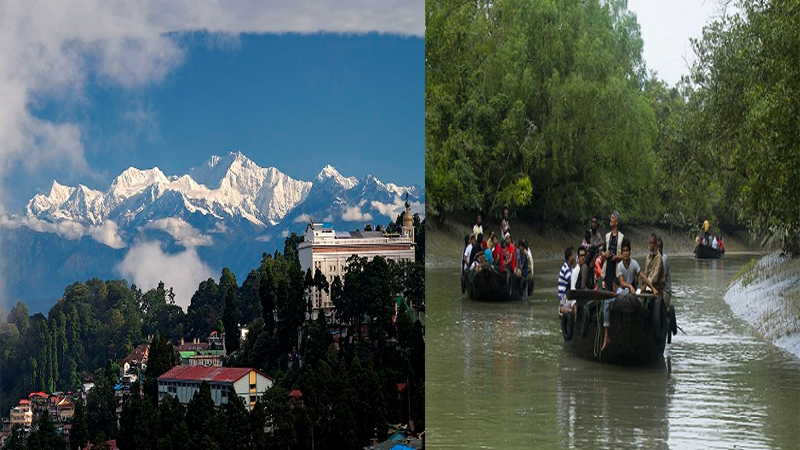 Other handicraft items that can be included in this list are artisanry, crafting, handicrafts man ship and handcrafting. They carry ancient art and designs also known as folk arts.